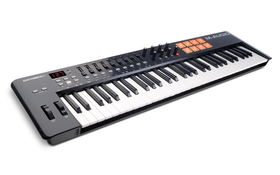 The third-generation of the innovative platform, accompanying a wide-range of M-Audio & Akai based MIDI controllers. One of the most prominent enhancements to the system is the is the MIDI Learn functionality, allowing you to map the controls of any VIP-compatible keyboard to VIPâ€™s parameters, allowing you to use the ever-growing library of MIDI controller mapping for added convenience. Pad Chord Progressions are also not included, allowing you to play factory or user defined chord progressions. Key Control modes also allow you to play scales, harmonised chords or chords progressions for added versatility. 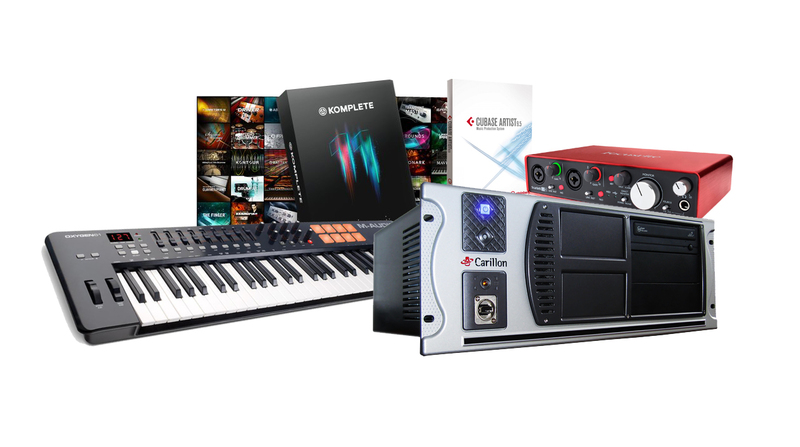 The VIP software now includes support for EastWestâ€™s full catalogue of virtual instruments, including the award-winning ComposerCloud subscription service. The VIP 3.0 software allows you to play virtually any VST compatible plug-in and/or effects unit. Another highly useful feature is the VIP Native Plugin Map, allowing 3rd party virtual instrument and effect creators to craft their own plugin maps for optimised VIP integration and improved workflow. With an array of assignable knobs, pads, and faders, Oxygen 61 gives you total control over your software, allowing you to stay engaged in the creative flow of recording and mixing music without ever reaching for the mouse. 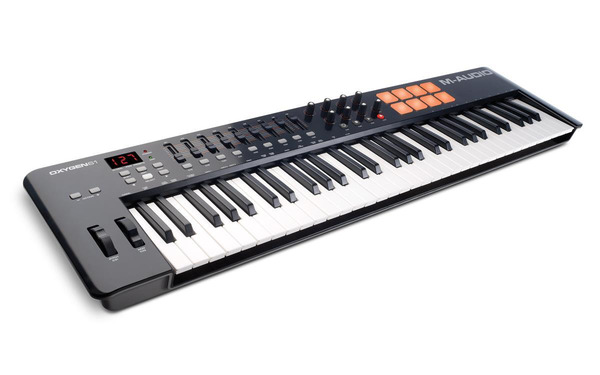 It features 61 velocity-sensitive keys for playing chords, bass lines, and melodies; eight assignable knobs for tweaking effect plugins and virtual instruments; eight velocity-sensitive pads for triggering samples or finger drumming; and nine assignable faders for mixing tracks together and controlling the master output. Oxygen 61 also has dedicated transport controls and track-up and -down buttons that allow you to initiate play, stop, and record in the DAW environment right from your keyboard controller. The Oxygen 61 MIDI controller offers out-of-the-box integration with popular DAWs including Ableton Live, Pro Tools, Logic, Cubase, and many more. Using DirectLink, Oxygen 61's controls instantly map to key parameters in your favorite DAW, enabling you to immediately tweak the mixers, editors, and transport windows. Additionally, Oxygen 61 has built-in customizable mapping presets that quickly interface Oxygen 61 with your favorite effect plugins and virtual instruments. Setting up a MIDI controller with your software doesn?t get any easier than this.